This is one of the top wines around. It’s mere appearance can’t begin to tell the story. A wine with a big structure that is still rapier fine and beautifully balanced. 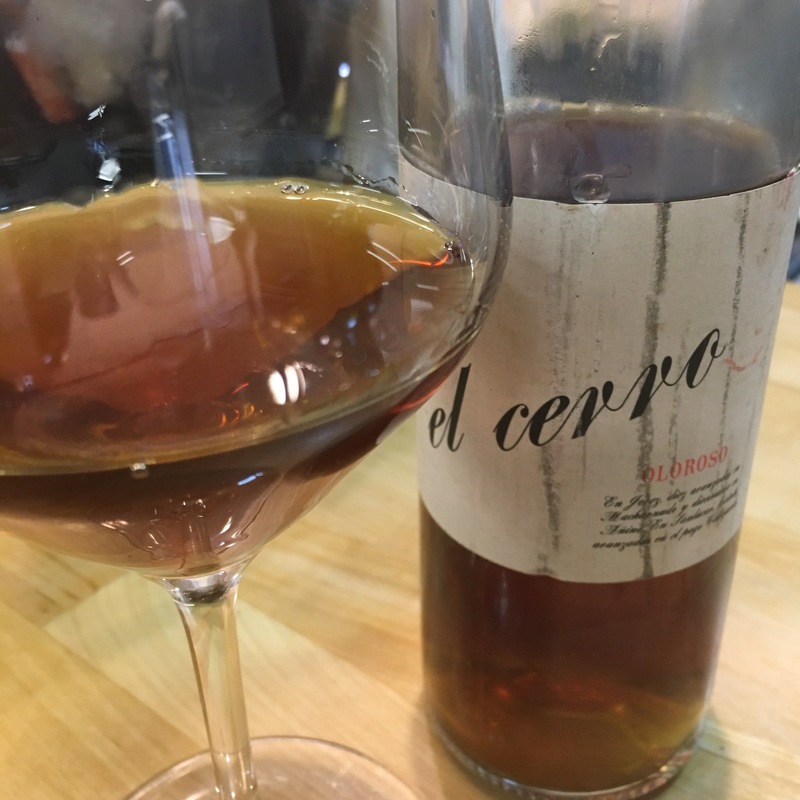 A rare oloroso from Sanlúcar – from the guys at Callejuela, one of the new power houses. A dark brown in colour as you can see. The aromas are all burned sweetness, fruits and nuts singed to an inch of their life. Then on the palate it has that sharpness of acidity and then a big density of flavour, again half burned sugary raisins and walnuts, with a turn to the bitter but not too much. Real solidity to the middle part of the palate and then a remarkably clean finish. No astringency, just a long fade away.